This is the third of a series of three blogs addressing the claims and arguments of "Revisionist" coryphee Carlo Mattogno regarding cremation of the people murdered at Chełmno extermination camp. Mattogno tries to downsize cremation capacities at Chełmno by claiming that the cremation ovens of the camp’s second phase (1944/45), described in the Central Commission’s report according to the testimonies of surviving inmates Zurawski and Srebrnik and the captured gendarme Bruno Israel, could burn corpses no faster than the 19th century device for burning carcasses called the Feist apparatus, which he compares these ovens with. Mattogno’s calculations are the following: an average of 375 kg of organic material, corresponding to 6 corpses with an average weight of 60 kg, could be cremated with the Feist device within 8.5 hours. Therefore within 24 hours the oven could combust 1,050 kg of organic substance, corresponding to 18 corpses. Each of the ovens described by the Chełmno witnesses had a grid area of 3 square meters, whereas the Feist device’s grid area, corresponding to a diameter of 0.9 meters, was just 0.6 m². As the grid area was 5 times higher, the number of corpses that could be incinerated within 24 hours was also five times higher, so that each of the two ovens used in the 2nd phase of Chełmno extermination camp could burn 90 corpses per day. The installed cremation capacity of Chełmno’s second phase was thus 180 corpses per day, and with this capacity, considering that cremation devices were the same in both phases, burning the 145,301 Jews killed during the camp’s 1st operation phase (1942/43) would have required 145,301 ÷ 180 = 807 days. Moreover, Mattogno claims, excavations in the late 1980s and early 1990s discovered the remains of only one cremation oven, with a surface area of only 6 x 5 square meters instead of 6 x 10 square meters as claimed by witnesses Zurawski et al, therefore also with only half the grid area claimed by the witnesses and accordingly only half the capacity (45 instead of 90 corpses within 24 hours). Mattogno’s calculations and considerations require significant corrections, even accepting the similarities he claims between the Feist apparatus and the cremation devices of Chełmno’s 2nd phase described by Zurawski et al. First of all, if the technical description quoted by Mattogno says that up to 500 kg of carcass mass could be cremated within 8-9 hours if they were of huge animals and 5-6 hours if they were of small animals (weighing 60 kg each), the time frame to be considered for human beings (which resemble the 60 kg small animals rather than the huge animals up to 8 times heavier) should be the latter and not the former. Second, if according to the technical description up to 8 small-animal carcasses weighing 60 kg each could be burned within 5 to 6 hours, it seems appropriate to assume that the Feist oven could within at most 6 hours burn 8 carcasses of small animals weighing 60 kg each (or of human beings having the same weight), i.e. that in burning small animals or human beings it could on a grid with an area of 0.6 m² combust at least 480 kg of carcass or corpse mass within 6 hours, or 80 kg per hour Its average throughput was thus (80 ÷ 0.6 =) 133 kg per hour and square meter of grid. The average weight of malnourished deportees to Chełmno from the Łódź ghetto is assumed to have been 34 kg. Thus the capacity of the Feist device corresponded to about 4 such corpses per hour per square meter of grate, meaning that each of the two ovens described by Zurawski et al, with their 1.5 x 2 m grate area, could burn 12 such corpses per hour, 120 within ten hours and 288 within 24 hours. The installed cremation capacity in the 2nd phase of Chełmno extermination camp was thus 288 x 2 = 576 corpses within 24 hours. Between 23 June and 14 July 1944, i.e. during the short time of 2nd phase killing operations at Chełmno before it was decided to liquidate the remaining Jews from the Łódź ghetto at Auschwitz-Birkenau, corpses accrued at a daily rate below this capacity, as shown in Table 3.1 (which, like the subsequent tables, can be enlarged by clicking on it). To burn an average of 326 corpses per day (163 per oven), each of the Chełmno ovens had to operate no more than 14 hours in a 24-hour period, the time required for preparation work presumably being rather reduced due to the ovens’ comparatively small size. 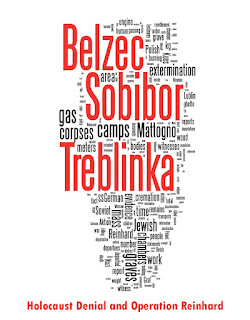 The 1st phase of Chełmno extermination camp produced about 150,000 corpses, with an average weight of 22.14 kg at the time of cremation and thus a total weight of 3,321,706 kg. In order to burn this amount of corpse mass with an installed capacity of 2 (number of ovens) x 3 (area of each oven’s grid in square meters) x 133 kg (weight that could be burned per hour and square meter of grate) = 798 kg per hour, a total of 4,287 burning hours or 179 burning days would have been required – more than the period of at least five months between October 1942 and March 1943 considered in this article’s previous section. However, while Mattogno conveniently postulates that cremation devices in both phases were the same in type and number, the eyewitness and archaeological evidence mentioned in the previous parts of this article shows that installed cremation capacity was not only considerably higher during the first phase than during the second, but also consisted, in what concerns cremation of corpses removed from the mass graves, of grid structures resembling those applied in the experiments of Dr. Lothes and Dr. Profé, at the Aktion Reinhard(t) camps and on the Dresden Altmarkt, rather than the inverted cones described by Zurawski et al that remind Mattogno of the Feist apparatus. In fact, the mentioned descriptions of Ismer and Frank Sch. suggest a method akin to the one applied by Lothes & Profé in experiments IV to VI, that of burning the corpses on grates placed over a fire pit dug from the sole of a larger pit. The witnesses’ descriptions are corroborated by the results of archaeological investigations in 2003/04, namely the descriptions of objects 3/03, 4/03, 20/03 and 5/03 and of indications that corpses were burned inside the second grave. The burning speed of these open-air pyres can be estimated by looking at he times required for mass burning of carcasses when more or less competently handled. A related online source contains information about the burning at High Bishopton Farm, Whithorn, Scotland, of 511 cattle, 90 sheep and 3 pigs over a period of three days on two separate pyres, each of which was 50 meters long and 1.5 meters wide. Assuming average carcass weights of 500 kg for cattle, 100 kg for pigs and 50 kg for sheep, the total weight of carcass mass burned was (511x500)+(90x50)+(3x100) = 260,300 kg. The area of the pyres was 2 x (50x1.5=) 75 m² = 150 m². Assuming a total cremation time of 72 hours , the carcass weight cremated per hour and square meter of pyre was 260,300÷(72x150) = 24.1 kg. Similar times were achieved by Dr. Lothes & Dr. Profé in their carcass-burning experiments. In experiments IV to VI (carcass placed upon inner pit below ground), the outer pit was 2 meters long and 2 meters wide, the inner pit 2 meters long and 1 meter wide. T-carriers two meters long were placed across the width of the inner pit, resting on that pit’s borders, which were 0.5 meters wide on each side. The grate area was thus 2x1 = 2 square meters. Regarding experiments I to III (carcass placed on pit above ground) the length and width of the grate area is not mentioned in the article, but it can be assumed that the 2-meter T-carriers also used in these experiments rested on the pit’s borders in the same way as they did on the inner pit’s borders in experiments IV to VI (that is, lying above 0.5 m of ground on either side) and that the area of the pit containing the combustion material, and accordingly the area of the grate, was 2x1 = 2 square meters in these experiments as well. The times required for burning the respective carcass weights, and the carcass weights consumed per hour and square meter of grate, were thus as shown in Table 3.2 below. The average of 16.51 kg burned per hour and square meter of carcass in the experiments I to III is below the corresponding average of the Whithorn pyres, whereas the average of experiments IV to VI is somewhat higher, further proving the efficiency of a method that combines avoidance of heat loss and protection of the fire against wind on the one hand with good air circulation on the other. The higher average achieved in mass cremation at Whithorn, in comparison to the burning of single carcasses in Lothes & Profé’s experiments I to III, suggests that the average of Lothes & Profé’s most efficient experiments could have been exceeded in mass cremation. Frank Sch.’s description points to 3 or 4 pits with an area of 20 m² each, i.e. a total pit area of 60 to 80 m². The witness’s estimates may have been on the low side, or the burning pits may have been enlarged after the time of his observation, for objects 3/03, 4/03, 20/03 and 5/03 have areas of, respectively, 72 m², 56 m², 64 m² and 14 m². Considering the possibility that the square object 20/03 was one of the 2nd phase ovens (like object 2/03, which has an equally large square surface area), it will for good measure be left out of the equation. The sum of the areas of objects 3/03, 4/03 and 5/03 is 142 m². Assuming for the scenario corresponding to Lothes & Profé’s experiments IV to VI that the grid area was half the pit surface area as in these experiments (i.e. 30 m² or 71 m² instead of 60 m² or 142 m² as in the scenarios corresponding to Lothes & Profé’s experiments I to III and the Whithorn pyres), the corresponding burning times for all 1st phase corpses would be as shown in Table 3.3. The above table shows that with the total grate area of three pyres becoming apparent from Frank Sch.’s estimate of each pyre’s area (60 m² in scenarios a) and b), 30 m² in scenario c)) it would have been difficult to finish the job within five months even if the average pyre throughput had been equal to that of the Whithorn pyres (24.10 kg per hour and square meter of grate) or of Lothes & Profé’s most successful experiments (40.12 kg per hour and square meter of grate). Burning on the 1st phase pyres is presumed to have involved considerable preparatory work due to their large grate area, meaning that only 150-115 = 35 days or 150 – 96 = 54 days for preparatory work would probably have been too short. With the higher grate area resulting from archaeological research (142 m² in scenarios a) and b), 71 m² in scenario c)), burning all 1st phase corpses within five months would have been comparatively unproblematic, as most of the operation’s assumed 150 days could have been spent on building the pyres. The pyre areas considered do not include the unknown area of the pyre or pyres presumed by Pawlicka-Nowak to have burned inside the second grave. Considering that only the decomposed corpses extracted from mass graves were burned in open pyres whereas the corpses of those killed after July 1942 were burned in crematoria of the kind also described by Frank Sch., even a total grate area of 60 m² in scenarios a) and b) and 30 m² in scenario c) would have been sufficient to burn these corpses within five months, as shown in Table 3.4 below. Thus Mattogno’s considerations about insufficient cremation capacity in the 1st phase of Chełmno extermination camp do not stand up to scrutiny. Sufficient cremation capacity does not, on the other hand, rule out the possibility that the job of cremating the 1st phase’s corpses was not completed until March or April 1943, as is suggested by evidence that cremation operations continued after 2nd killing phase operations had ended in July 1944. - Weight of corpse mass: 145,000 x 45 kg = 6,525,000 kg. - Weight of ash residue = 5 % of corpse mass weight = 326,250 kg = 326.25 tons. - Volume of ash residue = 326.25 ÷ 0.5 = 652.50 m³ (human ashes are considered to have a specific weight of ca. 0.5 g/cm³). Assuming a realistically calculated corpse mass of the 150,000 people killed in Chełmno’s 1st phase, 3,321,706 kg, the ash residue weight according to Mattogno’s calculation method would be 166.09 tons, the corresponding volume 332.18 cubic meters. Assuming that the spaces between the pits were all 3 meters long, the stretch of 161 meters mentioned in the above quote includes (3 x 11 =) 33 meters of spaces between the pits, the distance covered by the pits themselves thus being only (161 - 33 =) 128 meters. The pits were between 7.5 and 8.5 meters wide, so their total area can be assumed to have been (128 x 8 =) 1,024 square meters. If the pits were 4 meters deep, their total volume was (1,024 x 4 =) 4,096 cubic meters. This means that if the ash residue of all 1st phase victims, 332.18 m³, had been dumped into these 11 pits alone, it would occupy no more than (332.18 ÷ 4,096 =) 8.11% of the pits’ total volume. Even the ash volume claimed by Mattogno for 145,000 corpses would have filled no more than (652.5 ÷ 4,096 =) 15.93 % of these pits’ total volume. However, the finding of human cremation remains also in the former burial graves as well as in the objects called "field crematoria" in Pawlicka-Nowak’s article shows that the 11 pits making up the "fifth grave" did not receive all human cremation remains produced at the camp, and the archaeologist furthermore points out that it will never be known what amount of cremation remains was scattered over forests, what part was sent to Poznań to Fort VII, how much was sent to German settlers as a fertilizer and how much was just thrown into the Ner river. Oblivious of the fact that one should thus reasonably expect to find human cremation remains in comparatively low concentrations in the Chełmno mass graves, ash pits and cremation structures, Mattogno informs his readers that at the end of 1988 the Koniń District Museum sent to the Institute of Forensic Medicine of the Poznań Medical Academy a package containing four sacks of soil mixed with ashes and bone fragments collected in the area of the Chełmno camp, requesting an expert opinion about whether these ashes and bone fragments were of human origin and what their concentration in the soil was. The Institute of Forensic Medicine confirmed on 5 December 1988 that these remains were of human origin and that the concentration of human remains in all the material sent could be estimated at "some percent". This, Mattogno triumphantly announces, means that the percentage of cremation remains was meager, which in turn is supposed to show that the presumed cremation of 145,000 corpses at Chełmno is not supported by physical evidence. As if this claim were not already ridiculous enough under the circumstances explained above, Mattogno further disgraces himself by speculating that the samples analyzed by the Institute of Forensic Medicine must have come from one of the pits making up the "fifth grave", which had first been described by Judge Bednarz. Apparently Mattogno "forgot" that, as becomes apparent from Pawlicka-Nowak’s online article, these pits were not subject to archaeological investigation before 2003/2004 and soil samples examined in 1988 are thus not likely to have been from these pits. See Part 1, note 23. Mattogno, Chełmno, pp. 110 ff. Mattogno’s claim regarding the surface area of the cremation structure discovered in 1986/87 (which Mattogno claims to have been the only cremation structure that existed at Chełmno) has been discussed in Part 1. Even assuming that Mattogno is right about the surface of the cremation structure discovered in 1986/87 being just 6x5 meters, there would be no reason to question the accuracy of eyewitnesses who testified before the Central Commission insofar as the oven surface area that becomes apparent from their testimonies (60 m²) in line with that of objects 02/03 and 20/03, each of which has a surface area of 8x8 m and one of which is described as narrowing towards the inside, thus matching eyewitness descriptions of the 2nd phase ovens. Data are from LG Bonn Chełmno, Rückerl, Vernichtungslager, pp. 292/293. See Part 2, Table 2.11. Report to Dumfries and Galloway Council about Air Monitoring of Carcass Pyre at Whithorn, by Dr. C. MacDonald Glasgow Scientific Services, 3 October 2001. Pyre data are on page 6. As is done in the article CBA of Foot and Mouth Disease Control Strategies: Environmental Impacts by Paul Watkiss and Alison Smith, footnote 7 on page 4. It is not clearly stated in the source mentioned in note 145 whether the set of pyres burned for three continuous days or whether several incinerations were carried out over a period of three days, as in the swine carcass burning experiment at Pilot Point, Texas in 1994. An indication in the latter direction is the mention on page 6 of the Whithorn report that on the third day of the pyre (50 hours after commencement) cattle mats were added, whereas descriptions of the plume monitoring process suggest continuously burning pyres. Assuming the latter, it is possible that not all carcasses were on the pyre at the time it was lit but some were added later in the manner suggested by photos in the BBC online articles Costly memories of foot-and-mouth, Pollution fears of animal pyres and Water warning over burial sites and in the Sun article Devastation of 2001 outbreak. See Part 2, note 94. Weighing 16.96 kg on average and 1,769,946 kg in total, see Part 2, Table 2.11. 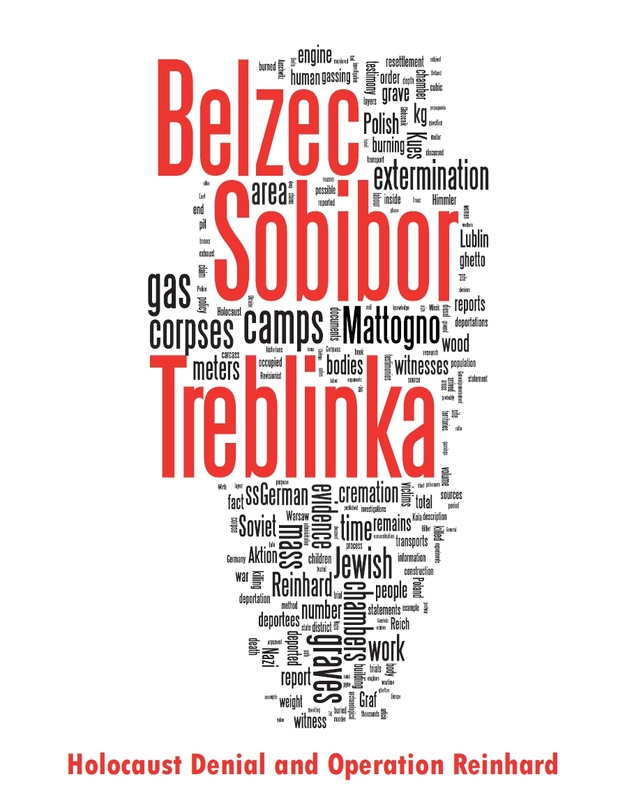 Carlo Mattogno and Jürgen Graf, Treblinka – Extermination Camp or Transit Camp, Theses & Dissertation Press, Chicago 2003, online, p. 150. See the blog Mattogno on Chełmno Mass Graves. Mattogno, Chełmno, pages 123 and 134-35.